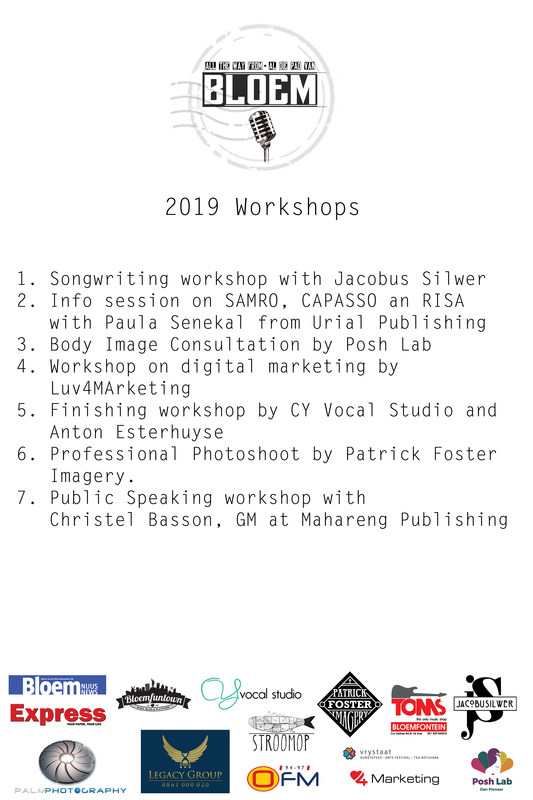 Attention, Bloemfontein singers, songwriters and composers - the ‘All the way from Bloem’ project unearthed awesome talent in its first year, so naturally we’re doing it again! 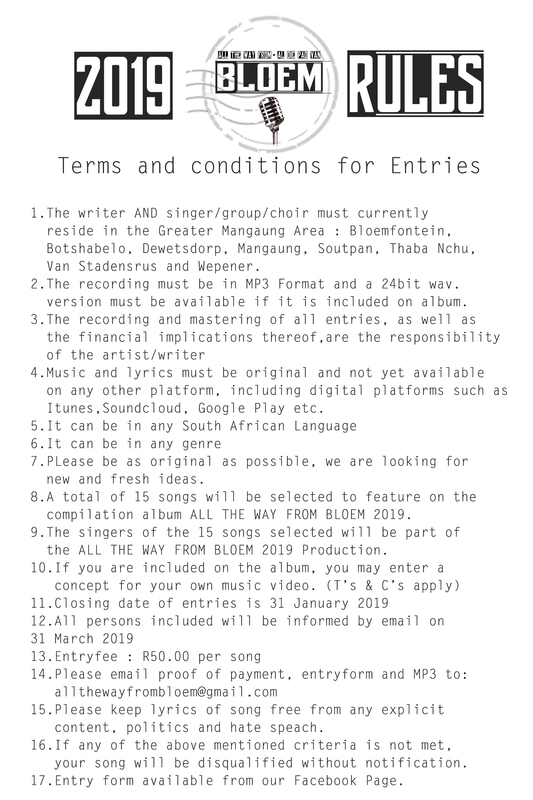 Enter before 15 February 2019, and your song could be included on the compilation album and concert. 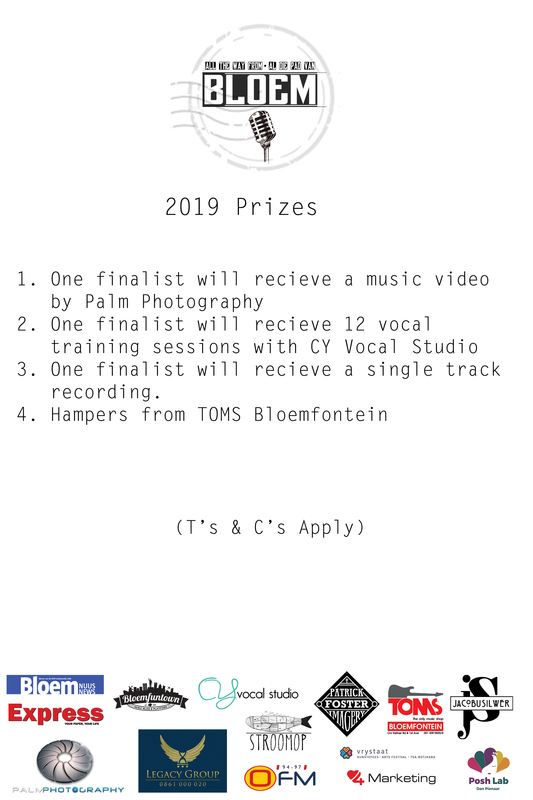 There’s also music video, vocal training, single recording and equipment prizes up for grabs! See entry form, rules and regulations as well as full prize description below.